How is Infrared Thermal Imaging in Home Inspections Used? When it comes to home inspections, there are a variety of special tools a home inspector may use to gather details. Infrared thermal imaging in home inspections is a technique used to provide another layer of information to the inspection report. This information is used by clients to make a decision on a house they are looking to purchase, sell, or remodel. Let’s take a closer look at what infrared thermal imaging actually is, and how it works for home inspections. What Can Infrared Thermal Imaging Identify? A hot spot in your home can be caused by a number of different issues. You may have an overloaded circuit that is causing problems, and you aren’t even aware of it. Overheated equipment and electrical faults are big safety concerns for any household. 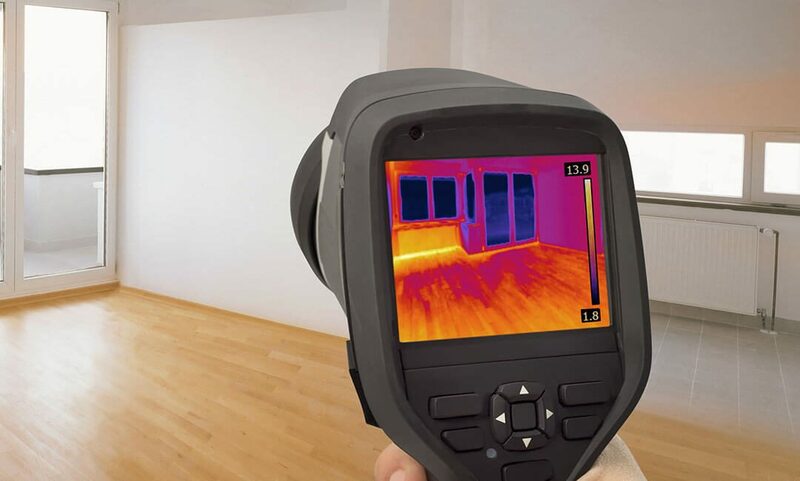 Thermal imaging can help detect issues that you otherwise would not be able to see, which is why it’s a good idea to include infrared thermal imaging in home inspections. When it comes to hiring an inspector, the technology associated with thermal imaging should be explained thoroughly. This helps you to know what kind of report you are getting and helps you understand the credibility of the inspector and the work that is being done. While current results can be determined, thermal technology can’t predict the future, and it cannot predict any future issues that may occur within the home. When you receive a report from an inspector who uses thermal imaging, you will get copies of those digital images in your report. This allows you to see what the inspector sees without having to be present for the inspection, even though it is recommended to attend your home inspection at least towards the end. You can use this information for any negotiations or repairs that you would like to request of the seller. Pacific Home Inspections provides home inspection services with infrared thermal imaging offered as a standalone service or as an add-on to another inspection service. Contact us to schedule an appointment in Greater Vancouver.